There are digital distribution platforms available for mobile devices that intend to provide mobile applications depending on their operating systems. We have official and third party stores that facilitate the download of all kind of mobile apps for different platforms. Some of the third party stores include Opera Mobile Store, Mobile9, LG Application Store, Indiroid, Samsung App Store, AndroidPit App Center, etc. Lets take a look at the top 7 official digital distribution platforms rated based on their user base, number of apps and total downloads. Google Play, the official Android app store, is a digital distribution platform operated by Google launched on March 6, 2012 with the merger of Android Market, Google Music, and Google eBook store, marking a shift in Google's digital distribution strategy. Google Play also serves as a digital media store, offering music, magazines, books, movies, and television programs. It also facilitates the purchase of hardware devices manufactured by google through the service, such as Chrome books, Google Nexus-branded mobile devices, Chromecasts and accessories. 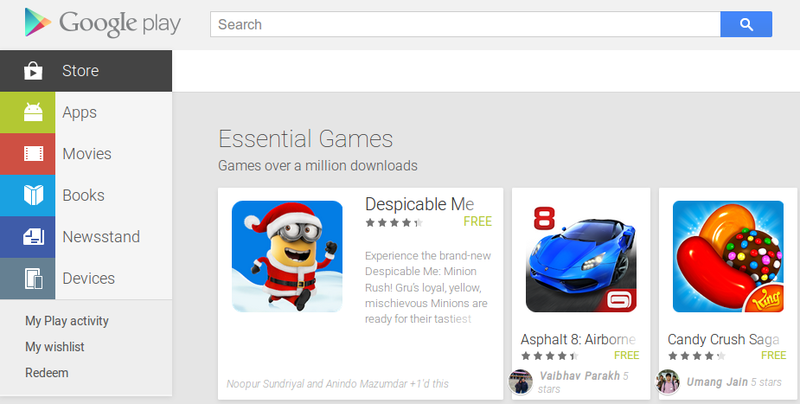 Google play has over 1500k apps available for download with a user base of over 500mn. Applications are available through Google Play either free of charge or at a cost. They can be downloaded directly to an Android or Google TV device through the Play Store mobile app, or by deploying the application to a device from the Google Play website. 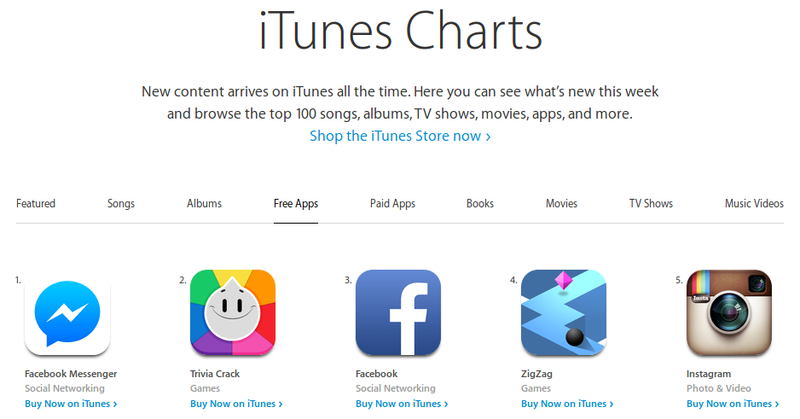 App Store, the digital distribution platform for mobile apps on iOS, went live on 10 July 2008. It has a user base of over 500 mn with over 1300k applications available to download. The available apps are targeted at iOS devices, including iPhone, iPod Touch and iPad and can be downloaded directly to an iOS device, or onto a personal computer via iTunes. The term "app" which is now a buzzword, actually came from the app store and it was awarded the honor of being 2010's "Word of the Year" by the American Dialect Society. Windows Phone Store, previously Windows Phone Marketplace, is a digital distribution platform developed and managed by Microsoft for its Windows Phone platform. The Windows Phone Store (replacing Windows Marketplace for Mobile) was launched along with Windows Phone 7 in some countries. Established on 21 October 2010, the store has over 300k apps available for download with 56 million user base. Like any other Windows product, the store features metro UI with a panoramic view which makes the user experience more better. BlackBerry World, previously BlackBerry App World, is an application distribution service and application by BlackBerry Ltd for a majority of BlackBerry devices. Established on 1 April 2009, blackberry world has a user base of 75 mn and more than 234,500 apps available to download. Of the three major app stores of different Operating systems, it has the largest revenue per app at $9,166.67 compared to $6,480.00 and $1,200.00 by the Apple App Store and Google Play, respectively. Amazon Appstore, solely owned and managed by Amazon, went live on 22 March 2011 and now has over 240k apps available. Mobile phones and tablets launched by Amazon running Fire OS, rely solely on the Amazon Appstore for its marketplace. The Amazon Appstore includes a "free app a day" feature. Every day, an application, frequently a game, is offered for free. Mozilla, a free open source software community, mostly famous for producing firefox web browser also produces other products like Thunderbird, firefox mobile, firefox os, the bug tracking system bugzilla and ofcourse develops and manages the firefox marketplace. Firefox marketplace, which recently came in existence has just about 4,132 apps available to download. The Marketplace is a store that features apps designed for any device that runs Firefox OS, Firefox for Android or Firefox desktop. You can then easily access these from another Firefox OS device or from an Android device. Being an open source, you can run the same app on different operating systems and devices! Like any other appstore, it enables you to login to your personal marketplace account where you have all your purchased apps and the apps you have installed on any of your device. Last but not the least, Ubuntu Store, which is believed to be the digital distribution platform for the Ubuntu phones in the future. Currently, there is no equivalent to http://apps.ubuntu.com for viewing Ubuntu Touch apps. I believe this is coming soon, though! If you're running the regular, desktop version of Ubuntu Touch, there is no way to view or install Ubuntu Touch apps by default. Also, the Ubuntu Software Center does not show Ubuntu Touch apps.However, if you're running Ubuntu Touch, you can view and install applications by searching the Applications scope in the Dash. I've seen DropWizard in action at HackSummit last year, sounds interesting. I'm more a fan of Spring Boot + Spring Web MVC personally though. When using JAX-RS at work we usually work with Apache CXF.